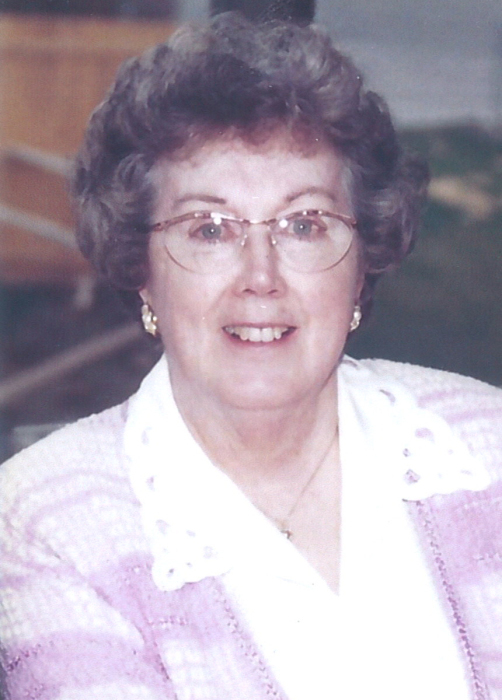 MRS. RUTH KATHLEEN WILSON, beloved wife of the late Ian Wilson, passed away in Lethbridge on Saturday, January 26, 2019 at the age of 93 years. Ruth Kathleen (Campton) Wilson was born on July 10, 1925 - youngest of six children. She was born in Maisonerve, Quebec. Ruth grew up there during some tough times. She saw depression but was never aware of the lack of money. Her mother took in laundry while her father, due to injury, did not work all of her growing up years. For Ruth, the war years were not good to the neighborhood. She lost two of her brothers overseas, Albert and Cliff. 1945 was a bad year as the family lost two more family members, a sister then a niece. In 1946 Ruth met Ian G. Wilson and after 2 years of dating they were married on June 12, 1948. They had Ruth’s parents live with them until Ruth’s mother had a stroke making it necessary to put her in a care facility. Ruth and Ian had two children, John and Kathleen. They moved to Dollard des Ormeaux on the west Island of Montreal. After Ian’s retirement and having been away from their children and grandchildren they headed west to reunite with them. They moved to Raymond, Alberta. They had many happy years there and then Ian passed away from cancer. His death facilitated another change. Ruth’s son John built a suite in his basement and she moved to North Lethbridge. She enjoyed the little apartment and made many more memories. Sadly, Ruth fell ill and went to the hospital and then moved to St. Michael’s Palliative Care Centre where she passed away peacefully and with dignity on January 26, 2019. Ruth is preceded in death by her beloved husband Ian her brothers Albert, Cliff and Mark and sister Deedra, a niece Joanie and by her parents James and Ruth Campton. Ruth is survived by her two children, a son John (Stephanie) and a daughter Kathleen (Mike), 6 grandchildren, 12 grandchildren and 27 nephews and nieces. Ruth loved Waterton National Park, she felt like there was nothing better than being out in nature. She loved going to north Star Lake in Jaffray, British Columbia. Her family was of paramount focus in her life second only to her church. Ruth loved camping, friends and to be together with her family and have a good meal and just spend time with them. Ruth liked sports, in particular; tennis and would get up at odd hours just to watch a Wimbledon match. Her favorite TV shows were Murdoch Mysteries and Bondi Vet and of course cooking shows. Ruth loved to cook and was very good at it. The Funeral Service will be held on Saturday, February 2, 2019 at 11:00 a.m. in the North Lethbridge Stake Centre, 560 Highlands Blvd West, Lethbridge. Friends may meet with the family prior to the service at the church from 10:00 to 10:45 a.m. Interment will follow in the Temple Hill Cemetery, Raymond. In lieu of flowers, donations may be made in Ruth’s name to the St. Michael’s Palliative Care Unit, 1400 – 9 Avenue South, Lethbridge T1J 4V5.